Report a complaint about the Customers’ experience with ICA. 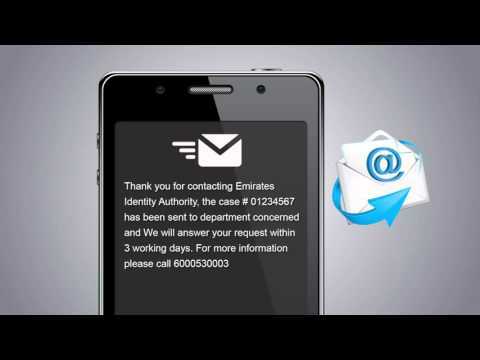 All UAE nationals, GCC nationals, expats and residents who interact with ICA during their residence period. The complaints will be resolved within 24 hours. The service will be available around the clock (24 hours) throughout the week through all channels. The service will be made available through service centers during normal working hours. I faced some problems when dealing with ICA, so I want to provide a complaint. I communicated with ICA through my preferred channel, and provided my complaint. I received a text message with the referential number of my complaint and the expected date for the solution. ICA called me to follow up my complaint and provide –if required- further details. I received a text message confirming resolution of my complaint, and the procedure taken by ICA. I filled in the survey form regarding my satisfaction about the solution delivered through my preferred channel. Page last updated on : 16/08/2018 10:22:06 This site is best viewed in 1366x768 screen resolution. Supports Microsoft Internet Explorer 10.0+, Firefox 10.0+, Safari 3+, Google Chrome 12.0+ Copyright © 2017 Federal Authority For Identity and Citizenship. All rights reserved.